3/4" MDF construction, stapled, glued and chalked to insure no air leaks, with slot vent porting and big volume air spaces. 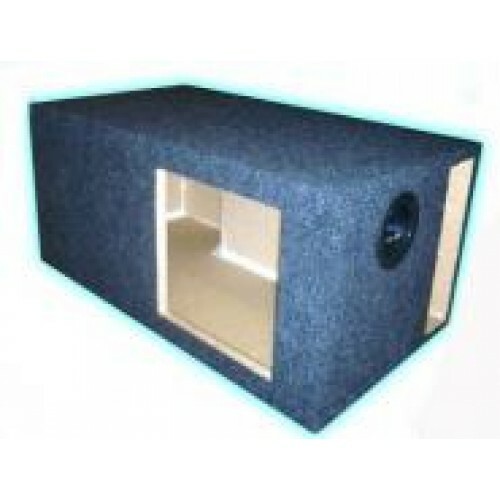 Originally designed to accommodate Kicker's ..... square woofer, the idea of the massive air space available in this enclosure became so popular, we decided to make it also with a round woofer cut-out option. Be sure to make your choice of square or round cut-out.